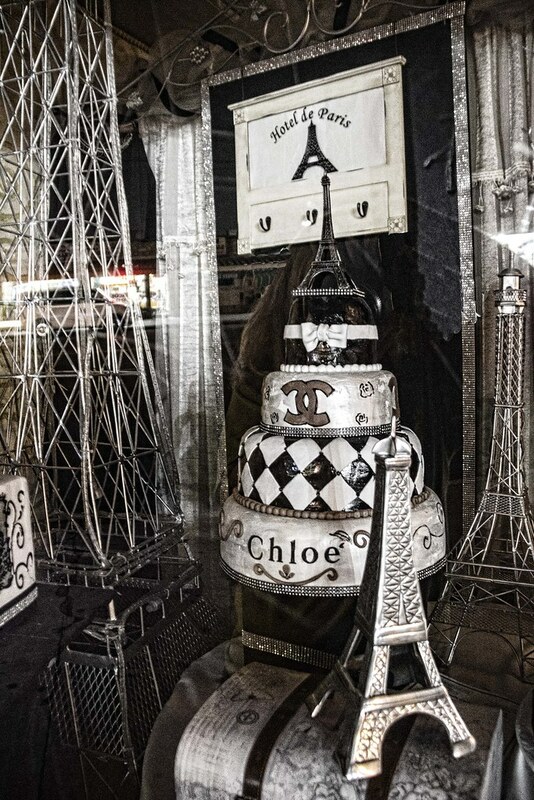 Since I just got back from Paris, it was fun to see the display at Cakeland Bakery. It is Paris, Eiffel tower, Chanel. Unfortunately, when I went to take a picture this evening, the lights that are normally illuminating the displays were off! So, the picture is not as good as is might have been. Still, it has the feel of Paris.